On Saturday at approximately 11:30am a fight broke out between individuals of two different internally displaced communities (IDP) in the market area within the Juba protection of civilians site (POC 1). The United Nations peacekeeping mission in South Sudan, UNMISS, took immediate measures, including the deployment of additional security elements to affected areas within the POC site, and along the perimeters of the UN House compound. The situation returned to normal in the afternoon. UNMISS is working with Community Watch Group leaders to ascertain the reasons for the altercation, and mediate between the parties. In addition to this the peacekeeping mission has also been in constant contact with community leaders of the protection of civilians site. Regrettably, as a result of the disputes, one Internally Displaced Person died from their wounds following the Saturday morning altercations. Meanwhile medical practitioners at the clinic facility located within the PoC site have reported treating approximately 110 IDPs suffering from various injuries. Several IDPs were taken to the UNMISS level I clinic to receive treatment and have since been discharged. In addition, four patients suffering from more serious injuries were transported to UNMISS’ Tomping level II hospital. Two members from the UNMISS force protection units also sustained minor injuries and are being treated. 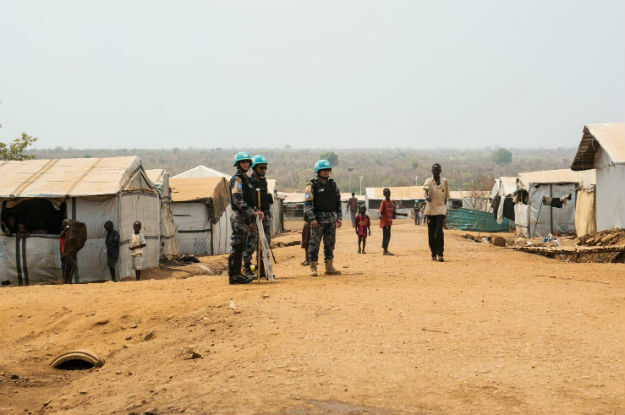 It has been reported that approximately 200 IDPs sought shelter at the western gate of the UN headquarters compound, and through coordination efforts between UNMISS and IDP leadership, have moved back to the protection of civilians site. The UN mission continues reinforcing its cooperation, sharing of information and efforts with the IDP leadership in order to mitigate any further possible incidents.